The story of the American pilot who escaped German capture in World War I and made it to France with nothing more than his bronze challenge coin emblazoned with his squadron’s insignia to prove his identity is widely considered the origin story of the modern Challenge Coin tradition. That coin traveled to Germany, on to France, and, undoubtedly, many other places across Europe and, possibly, the globe. Colonel “Buffalo Bill” Quinn gave challenge coins to his men during the Korean War, extending the reach of challenge coins into Asia. In 2011, Robert Gates toured Afghan military bases before retiring as U.S. Secretary of Defense. While shaking hands with the service men and women he met, Secretary Gates slipped a special Secretary of Defense challenge coin into the palm of each soldier in a “secret handshake” that has become customary among those who exchange the notable coins. 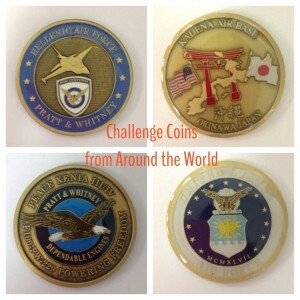 The presence of our U.S. Military servicemen all over the world has created a history of challenge coins being well-traveled. 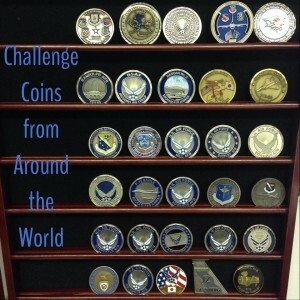 Here at Atec, we have quite a few impressive challenge coin collections among our staff members. Many of those coins have traveled a great distance to rest in the offices and homes of our team members today. 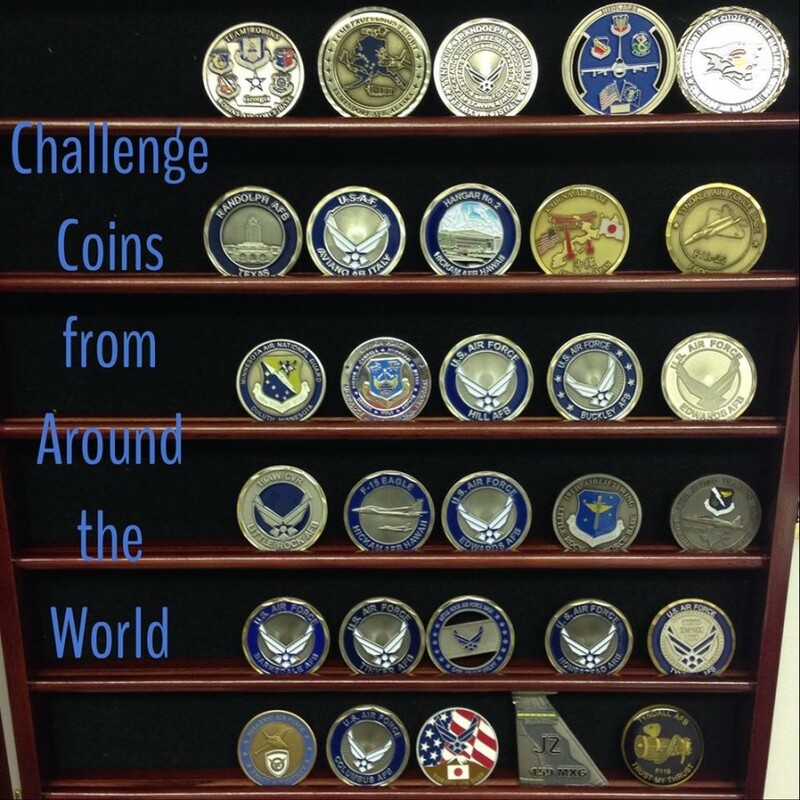 Our Chief Electrical Engineer, Kaveh Dadkhah, has one of the many notable challenge coin collections here at Atec (shown above). Kaveh received many of his coins as tokens of appreciation for his service and performance. Two coins traveled almost 15,000 miles collectively before joining the other coins in Kaveh’s remarkable collection. The coin presented to Kaveh by the Hellenic Air Force traveled all the way from Greece and the coin presented by the US Air Force at the Kadena Air Base traveled from Okinawa, Japan to rest in the pictured display case in his office here in the Stafford, Texas headquarters of Atec, Inc.